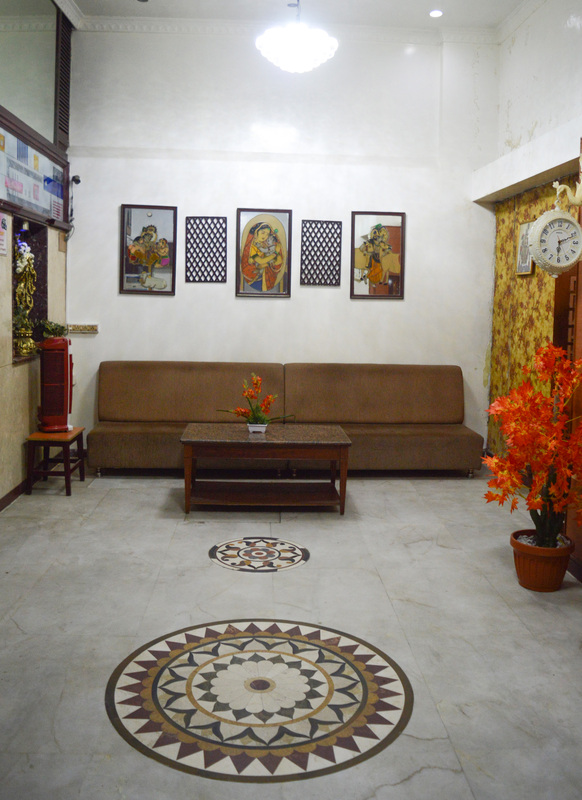 Your comfort during your stay is of prime importance to us all at the Mallika Residency - One of the Affordable Hotels in Chennai. 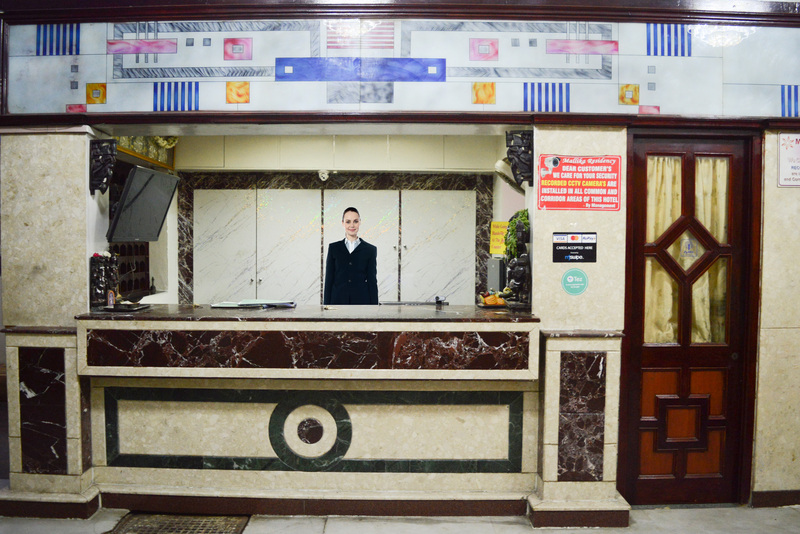 We are constantly striving to enhance and improve our hotel. 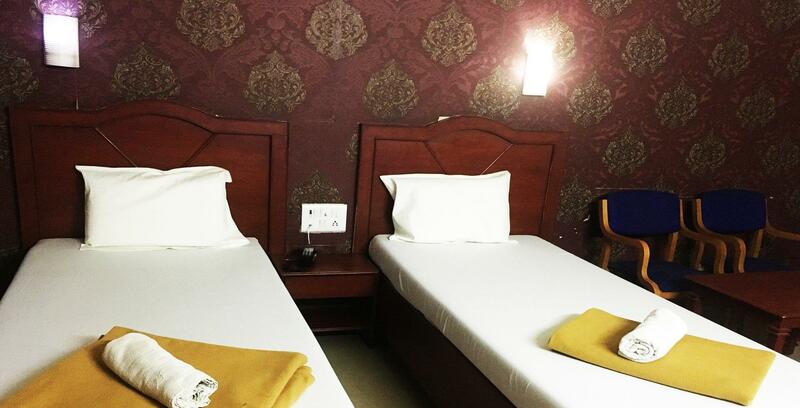 Mallika Residency, Budget Hotels in Chennai is one of the Best Affordable and Economic Hotels in Chennai. Mallika Residency is a hotel situated near to Marina Beach Chennai, US Consulate Chennai, Apollo Hospital Chennai, Shankara Nethralaya Chennai, Chennai Central Railway Station and Egmore Railway Station. Standard Double Non A/C are ideal for Corporate, Business, couples, on a very budget rooms measuring approx. 160 sq ft. A perfect blend of Budget with furnished rooms. 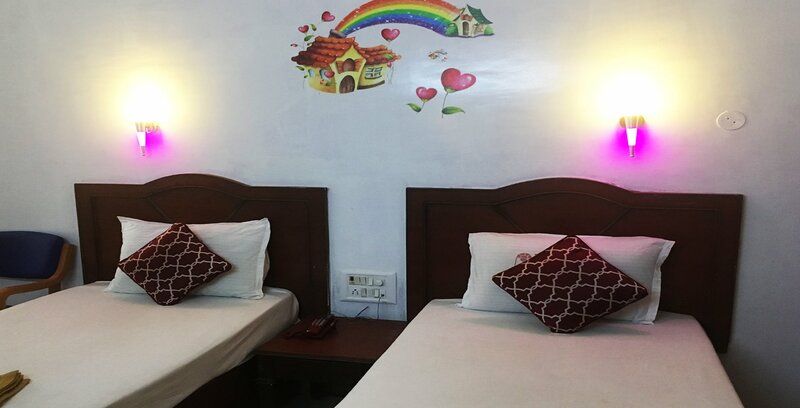 The rooms provide you Two Single cot or Double Cot bed, TV with Satellite Channels, Wardrobe with Hangers, Tiles or Marble Flooring, Mirror, Intercom, Free Toiletries, Centralized Water Heater, False Ceiling with Fan & light, Teapoy with Chairs available. Standard Triple Non A/C are ideal for Corporate, Business, Family, couples, on a very budget rooms measuring approx. 240 sq ft. A perfect blend of Budget with furnished rooms. 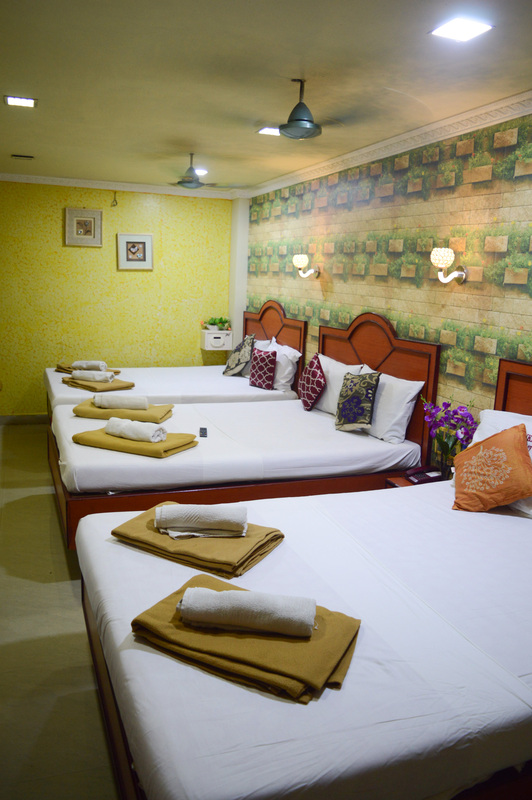 The rooms provide you One Double Cot & One Single cot, TV with Satellite Channels, Wardrobe with Hangers, Tiles or Marble Flooring, Mirror, Intercom, Free Toiletries, Centralized Water Heater, False Ceiling with Fan & light, Teapoy with Chairs available. Deluxe Double Non A/C are ideal for Corporate, Business, Couples, on a very budget rooms measuring approx. 180 sq ft. A perfect blend of Budget with furnished rooms. 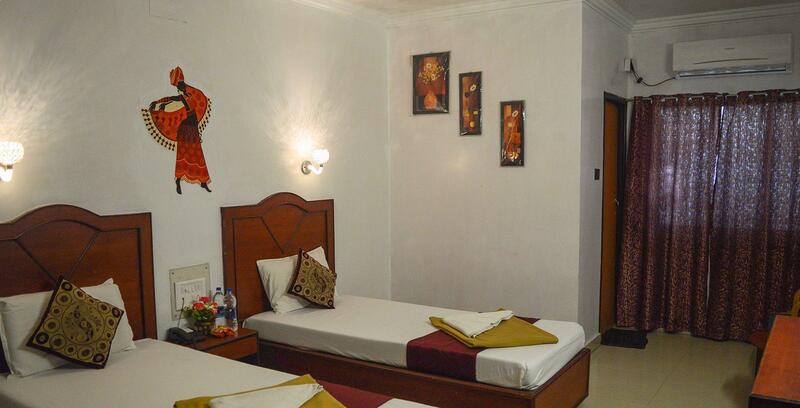 The rooms provide you Two Single Cot or One Double cot, TV with Satellite Channels, Wardrobe with Hangers, Tiles or Marble Flooring, Mirror, Intercom, Free Toiletries, Centralized Water Heater, False Ceiling with Fan & light, Teapoy with Chairs available. Deluxe Quad Non A/C are ideal for Corporate, Business, Family, couples, on a very budget rooms measuring approx. 260 sq ft. A perfect blend of Budget with furnished rooms. 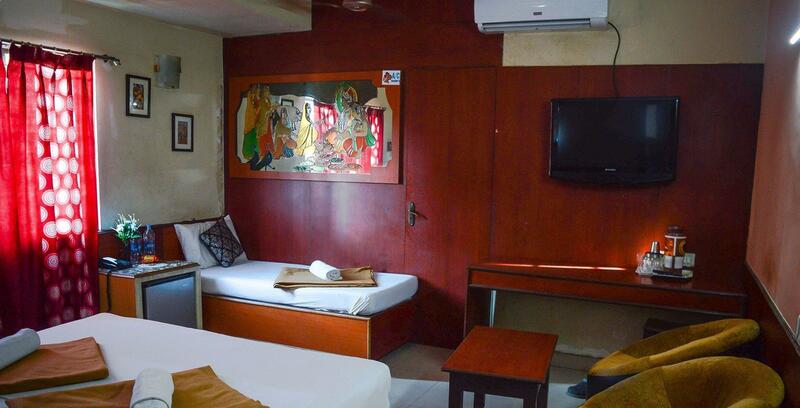 The rooms provide you Two Double cot, TV with Satellite Channels, Wardrobe with Hangers, Tiles or Marble Flooring, Mirror, Intercom, Free Toiletries, Centralized Water Heater, False Ceiling with Fan & light, Teapoy with Chairs available. Standard Double A/C are ideal for Corporate, Business, Couples, on a very budget rooms measuring approx. 160 sq ft. A perfect blend of Budget with furnished rooms. The rooms provide you Two Twin cot or One Double Cot, Air Conditioner, TV with Satellite Channels, Modern furnishings and bright fabrics, Wardrobe with Hangers, Tiles or Marble Flooring, Mirror, Intercom, Free Toiletries, Centralized Water Heater, False Ceiling with Fan & light, Teapoy with Chairs available. Deluxe Double A/C are ideal for Corporate, Business, Couples, on a very budget rooms measuring approx. 160-220 sq ft. A perfect blend of Budget with furnished rooms. The rooms provide you Two Twin cot or One Double Cot, Air Conditioner, TV with Satellite Channels, Modern furnishings and bright fabrics, Wardrobe with Hangers, Tiles or Marble Flooring, Mirror, Intercom, Free Toiletries, Centralized Water Heater, False Ceiling with Fan & light, Teapoy with Chairs available. Suite Family A/C are ideal for Corporate, Business, Couples, Family, on a very budget rooms measuring approx. 220 sq ft. A perfect blend of Budget with furnished rooms. The rooms provide you One Double Cot & One Single Cot, Air Conditioner, Some rooms Living room with sofa, Modern furnishings and bright fabrics, TV with Satellite Channels, Wardrobe with Hangers, Tiles or Marble Flooring, Mirror, Intercom, Free Toiletries, Centralized Water Heater, False Ceiling with Fan & light, Teapoy with Chairs available. Deluxe Triple A/C are ideal for Corporate, Business, Couples, on a very budget rooms measuring approx. 240 sq ft. A perfect blend of Budget with furnished rooms. 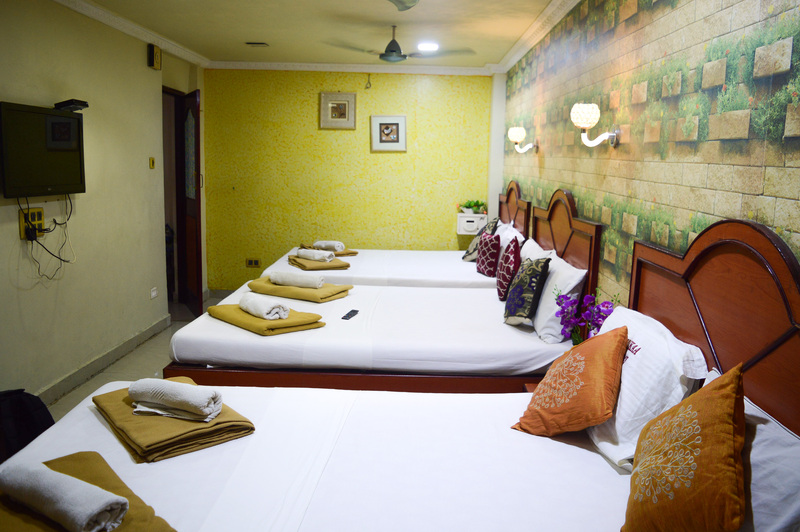 The rooms provide you One Double Cot & One Single cot, Air Conditioner, TV with Satellite Channels, Wardrobe with Hangers, Tiles or Marble Flooring, Mirror, Intercom, Free Toiletries, Centralized Water Heater, False Ceiling with Fan & light, Teapoy with Chairs available. Six Bedroom A/C are ideal for Corporate, Business, Couples, Family, Get together, on a very budget rooms measuring approx. 320 sq ft. A perfect blend of Budget with furnished rooms. 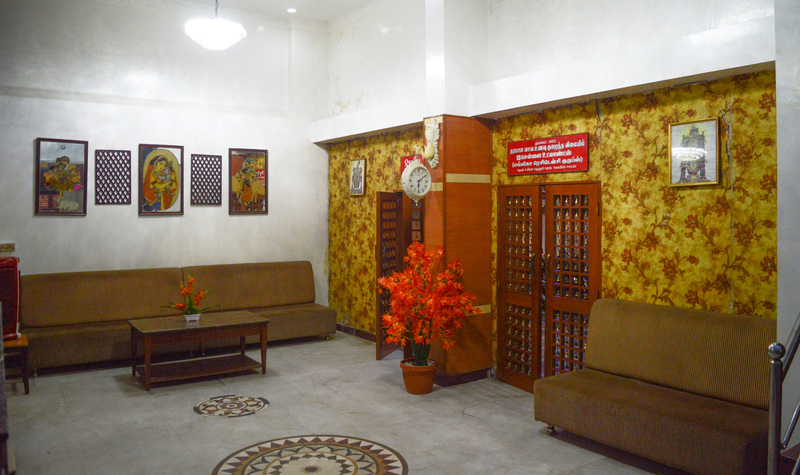 The rooms provide you Three Double Cot, Air Conditioner, Sofa, TV with Satellite Channels, Wardrobe with Hangers, Modern furnishings and bright fabrics, Tiles or Marble Flooring, Mirror, Intercom, Free Toiletries, Centralized Water Heater, False Ceiling with Fan & light, Teapoy with Chairs available. Deluxe Quad A/C are ideal for Corporate, Business, Couples, Family, on a very budget rooms measuring approx. 270 sq ft. A perfect blend of Budget with furnished rooms. 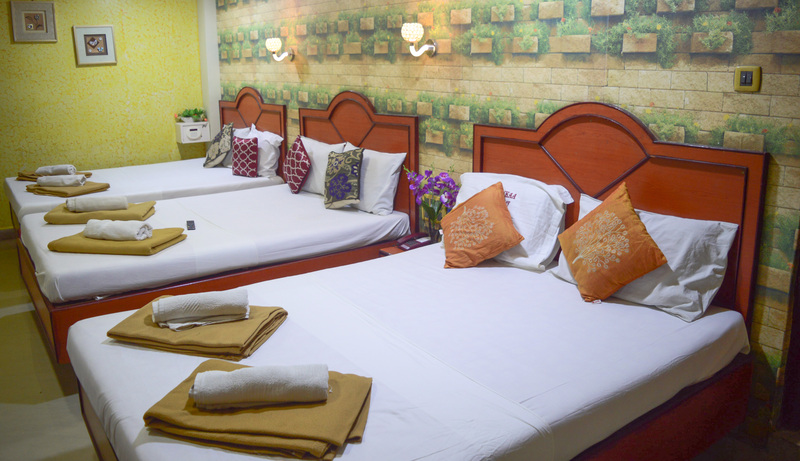 The rooms provide you Two Double Cot, Air Conditioner, TV with Satellite Channels, Wardrobe with Hangers, Modern furnishings and bright fabrics, Tiles or Marble Flooring, Mirror, Intercom, Free Toiletries, Centralized Water Heater, False Ceiling with Fan & light, Teapoy with Chairs available.